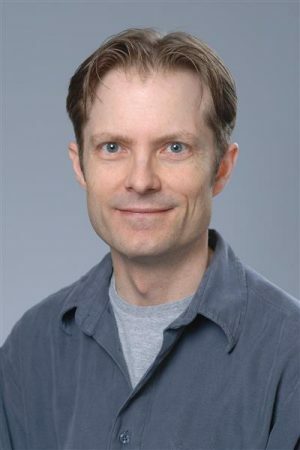 Welcome to the My Science Life feature of Dr. Bill Sullivan, Showalter Professor at Indiana University School of Medicine (IUSM), where he studies infectious disease. Bill has published over 70 papers in scientific journals and written for Scientific American, Scientific American MIND, Salon.com, GotScience.org, What Is Epigenetics, and more. He is writer and editor at PLOS Sci Comm and maintains his own popular science blog called THE ‘SCOPE. Bill received his Ph.D. in Molecular & Cell Biology from the University of Pennsylvania under the mentorship of David Roos. As an undergraduate, he worked with Gene Johnson (featured in the popular book, The Hot Zone, by Richard Preston) at USAMRIID (United States Army Medical Research Institute for Infectious Disease). Bill completed postdoctoral studies at ELANCO, the animal health division of Eli Lilly & Co., before joining the faculty at IUSM. My field of study is molecular parasitology. Specifically, my lab seeks to understand basic biological processes in a group of protozoan (single-celled) parasites in the phylum Apicomplexa. Some members of this phylum are Plasmodium spp. (malaria), Toxoplasma gondii (toxoplasmosis), and Cryptosporidium spp. (cryptosporidiosis). A better understanding of parasite biology is leading to the discovery of new drugs to combat these important pathogens. What is your job like on a daily basis? When I first started my lab as a newly minted Assistant Professor, I spent about 60% of my time doing experiments at the bench, 30% of my time writing papers and grants, and 10% on academic service. I took it for granted back then, but actual bench research was my major responsibility. I had a little teaching to do, a rare committee meeting or two, and an empty inbox. It was mostly just me and my pipet, ready to discover something no one else had found out yet. Now as a full professor, my day begins by trashing about 50-100 emails from no-name predatory journals and dubious scientific conferences, people trying to sell me peptides, and postdoc applicants who begin their message with “Dear sir or madam.” I usually spend my day rushing from meeting to meeting with occasional lectures in the mix. My favorite meetings are, of course, the laboratory meetings when we actually discuss science. My position has evolved where I now spend a lot of time helping to train students, postdocs, and junior faculty. I also spend considerable time reviewing manuscripts and grants. I serve on many student thesis committees, which I love because it often introduces me to new areas of research and gives me the chance to contribute to a budding scientist’s career in the same way that my mentors did for me back in the day. It is a dramatic change from the bench work I used to do. I wouldn’t say it is better or worse, it’s just different. There’s also some growing pains you have to overcome as your research enterprise expands and you get pulled in other directions. For instance, you have to entrust your projects to a trainee’s hands. You also have a less granular view of everyone’s project but a better bird’s eye view. Consequently, labmates usually help one another troubleshoot nitty-gritty experimental details while I help interpret the data, ask for better controls, and generate big picture ideas. All in all, being a scientist is awesome. There is always something new awaiting discovery—something that could change the world. I’ve always been interested in how genes turn on and off (gene regulation), and initially, I wanted to study gene regulation in cancer. But as a graduate student, I did a rotation through a lab that studied a single-celled parasite called Toxoplasma gondii, and it just captivated me. 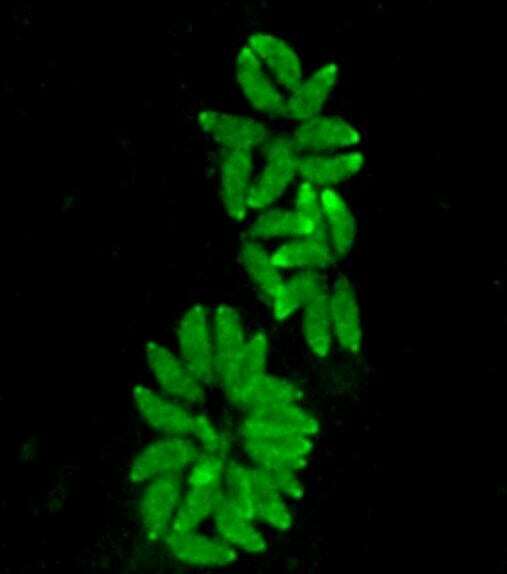 These tiny banana-shaped parasites storm into host cells and replicate until there are enough of them to literally blow the cell apart! At this point, I was also introduced to Toxoplasma’s cousin, Plasmodium, which causes malaria. I never appreciated the huge impact of malaria on global health and was shocked at how little research was being done on these parasites. I committed myself to becoming one of the few scientists who would work on these neglected diseases. Toxoplasma is a fascinating parasite with lots of ways to get into many different host organisms. An estimated one-third of us have this parasite in our brain. The sexual stage occurs exclusively in the cat gut, after which the cat will excrete infectious oocysts that persist in the environment for years. These oocysts can infect any animal, including humans, and stay in the host as tissue cysts. If we eat an infected animal without cooking the meat completely, we can also become infected that way. Finally, if a woman becomes infected for the first time while pregnant, the parasite can cross the placenta and cause miscarriage or birth defects. There are also spooky studies that show Toxoplasma can manipulate the behavior of its host. In rodents, for example, Toxoplasma makes them lose their fear of cats, which is an amazing triumph—the parasite basically turned the mouse into a taxi that takes it directly to the cat gut where it can start a brothel. When I started my own lab, I was able to merge my initial interest in gene regulation with parasitology by carving out my own niche in parasite epigenetics, which was a new field at the time. Epigenetics refers to changes in gene regulation that occur without a change in the DNA sequence; rather, DNA bases or their associating proteins are chemically modified. It is a really cool aspect of gene regulation because it provides a way for the environment and genes to talk with one another. In other words, signals from the organism’s environment can alter which genes are turned on or off, which may in turn cause that organism to alter its environment. We are also investigating an unusual set of plant-like transcription factors in Toxoplasma in collaboration with Dr. Michael White at the University of South Florida. Transcription factors are also attuned to the parasite’s surroundings and function to regulate gene expression. In the parasites we study, these particular types of transcription factors are attractive targets for new drug development since human cells do not have this type. Finally, we are working with Dr. Ronald Wek at IUSM on yet another gene regulation process called translational control. After a gene is activated, it makes a transcript that contains the instructions to make a protein. But whether this transcript is maintained in a holding pattern or actually translated into protein depends on the parasite’s environment. What are some of the biggest challenges in your field? Microbial latency. Both Toxoplasma and Plasmodium are difficult to treat because they can hide in the body in a dormant form. For example, Toxoplasma is incurable because the parasites will remain in the brain, heart, and skeletal muscle as a latent tissue cyst; if the host becomes immune compromised (typically due to AIDS, chemotherapy, or organ transplantation) the parasites will start replicating again and cause life-threatening pathology. Current drugs only target parasites that are actively replicating—they do not affect the latent tissue cysts. More research needs to be done to understand how these parasites transform from one stage to another so we can devise new therapeutics to eradicate them completely from the patient. An associated challenge goes back to what I mentioned before. Parasites like malaria are deadlier and costlier than many other diseases, yet so few resources are provided for this research area. Consequently, parasite drug-resistance has become a significant problem. What advice do you have to those pursuing a career in your field? There’s a lot of uncertainty and angst right now in the sciences. There is a baffling anti-science sentiment in a surprisingly large segment of the country. Eighty percent of Americans cannot name a single living scientist. Government agencies are being censored and funding has stymied. There are far fewer faculty positions available than trainees vying for them, and universities are being run more like a business than an academic institution. I’m not saying you should ignore the “sky is falling” chatter, but by the same token, don’t let it distract you from your passion or truncate your ambition. I truly believe the world would be a better, saner place if everyone would embrace their inner scientist. We’re all born scientists and explorers, but somewhere along the way, we lose this sense of wonder. We fall into the dangerous trap of lazily clinging to opinions, often at the expense of evidence-based living. So my advice is to stay energetically curious, embrace cognitive dissonance, and keep stretching the boundary of your knowledge. Remain enthusiastic about science and be sure to communicate that passion to others, especially those who are not scientists. You are part of the next generation of people who will provide brand new knowledge for the world—new insights into how life works. We are truth seekers, and when our descendants look back on history, it will be through a lens that you helped polish. Infectious disease is a manageable problem and we’ve gained tremendous ground with the discovery of microbes, vaccines, and antibiotics, which have literally saved billions of lives. But our microbial enemies should never be underestimated. They evolve much faster than we can devise new therapies. More antibiotics are great, but a game changer is needed. 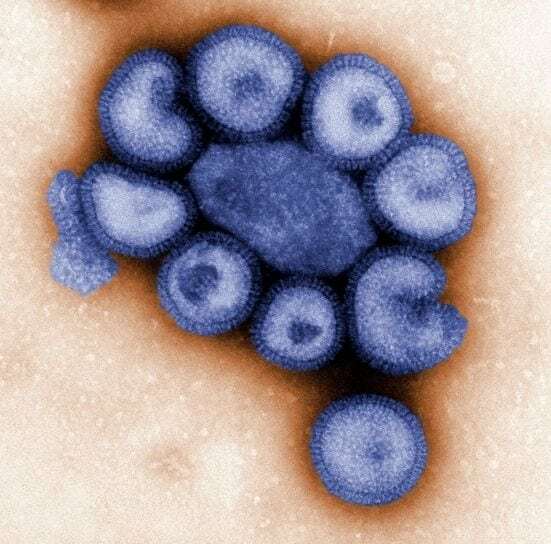 What is the new frontier of anti-infectives? I can’t wait to see you discover it. Previous Post« Previous How Do Sports Organizations Become Ecologically Conscious?